Home computer Tricks Windows How to solve or Reset Windows 7 Update problems? 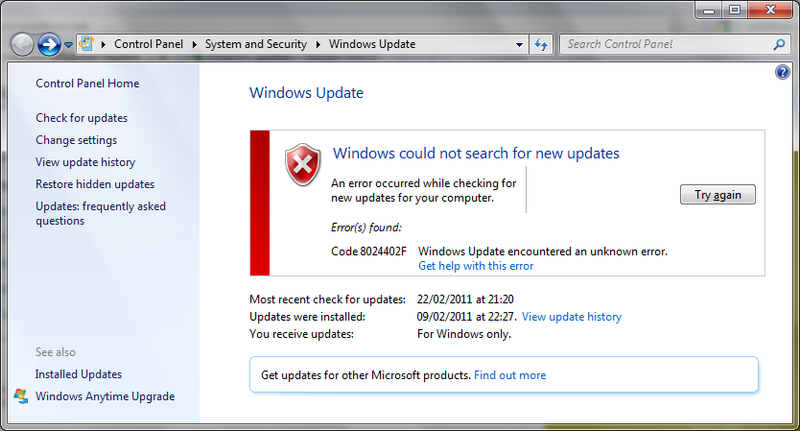 How to solve or Reset Windows 7 Update problems? How to solve or, Reset Windows7, Update, problems?This simplest solutions are the best, so I use the Windows tool to ,troubleshoot Windows Update ,problems in the first instance. Nothing new in this article, I do only a synthesis of articles that I have already published by adding some basic procedures or via the use of external tools. 1 - Often the simplest solutions are the best, so I use the Windows tool to troubleshoot Windows Update problems in the first instance. Start >> Control Panel >> Service Center >> Troubleshooting >> Solve related problems To Windows Updatelaunch the tool and click "Advanced" to run the procedure as Administrator. You only have to select the version of Windows that you are running. This online troubleshooting tool supports Windows 10, Windows 8.1, and Windows 7. KB3125574 Update Pack for Windows 7, combining security patches released between February 2011 and April 2016 " Service Pack 2 "
Repeat this command before installing each update, and follow the installation order in the tutorials provided. If you do not rename the SoftwareDistribution folder as a .oldin the script, switch to safe mode and manually rename it, and restart in normal mode, a new SoftwareDistribution folder will be automatically re-created. Next, you must remove the qmgr * .dat files . To reset Windows Update components, you must delete the files. To do this, open an admin prompt , and type or copy / paste the following command, and then press ENTER : Del "% ALLUSERSPROFILE% \ Application Data \ Microsoft \ Network \ Downloader \ qmgr * .dat"
Delete the incorrect registry values. You can also use WSUS Offline Update, a free utility that allows you to download updates ( Windows, Office, Windows Defender ) and automate the update process without dead time (creating a media like Or a folder accessible through the network to share and run updates). It can partially replace Windows Windows. WSUS Offline Update does not solve Windows Update problems on Windows 7, but can be used to install a maximum update and eventually unblock Windows Update. In general, most of the tools available as an application only apply the same type of script mentioned above, and these applications are not limited to Windows Update troubleshooting .